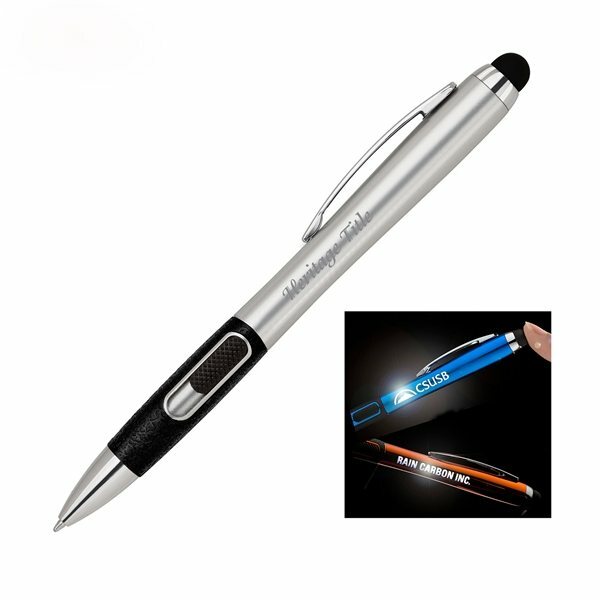 Click-action stylus pen with LED illuminated logo in a variety of popular colors. Push grip to reveal pen tip and push stylus to activate LED light to highlight your logo. Plastic barrel with bright UV coating. Not for capacitive touch screen.